If you’ve got yogurt, cereal and fruit at home, you can make this delicious (and beautiful) snack. This is a no-cook snack recipe that kids of any age will love. We can think of some grown-ups who’d love to get creative too! Line a baking sheet with parchment paper. Use a spatula to spread yogurt evenly across the pan about 1/2 inch thick. Press crispy cereal and blueberries with your fingertips into the yogurt. Leave a little room for the strawberries. Cut strawberries into small pieces. Arrange them in between the blueberries and cereal. For extra sweetness, drizzle honey on top or sprinkle with chocolate chips. Carefully place the baking sheet in the freezer. Freeze the yogurt bark for 2 to 4 hours until completely frozen. Remove the bark from the freezer. Peel off the parchment paper from the back. Break the bark into pieces. 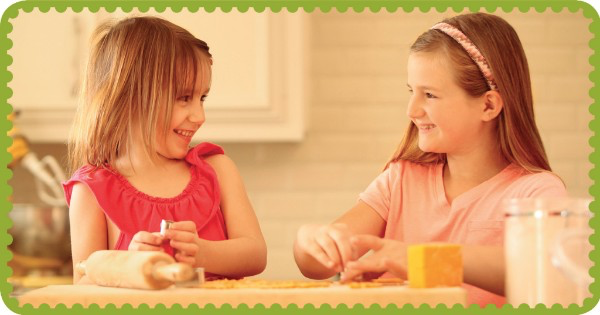 Looking for a way to keep the kids busy on their playdates? Have them stir up some delicious sun tea. They’ll enjoy making it, and then having a real tea party! 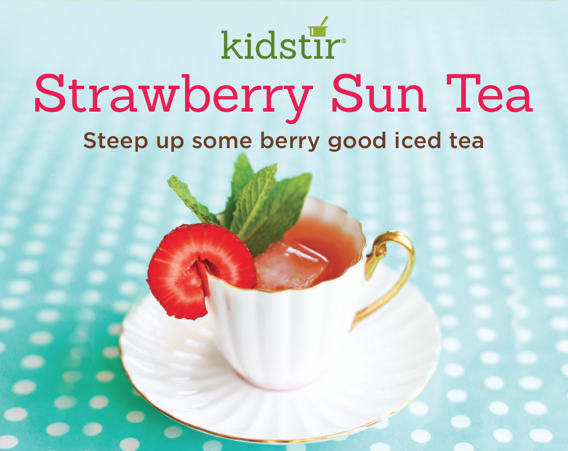 It takes just 10 minutes of hands-on time to make teaching the little ones how to slice berries, measure, strain, and garnish so kids can enjoy sipping this sun tea in under 8 hours. The tools needed are: a 2 quart glass pitcher or jar (with lid), measuring cup, plastic or paring knife & cutting board, tea cups or glasses and a small strainer. Ingredients needed are 6 cups water, 5 strawberry, raspberry, pomegranate, or other fruity tea bags, 1 cup apple juice, 4 to 8 strawberries, 1/4 cup honey, fresh mint (optional) and ice cubes. Share the love! Share the joy! “My granddaughter and I enjoy the kits very much. She has learned so much and she now loves to cook!”. Thank you to so many of you for the kind words you send us daily. 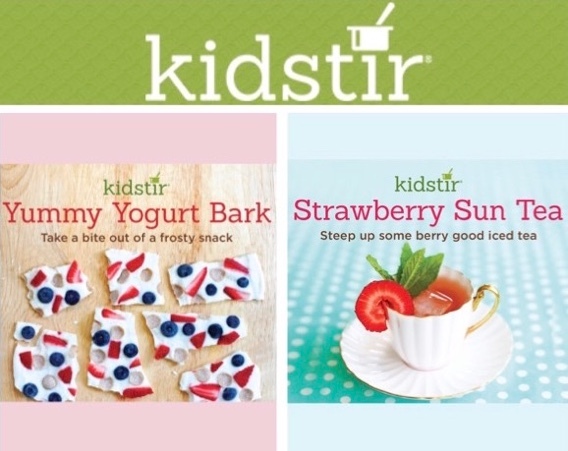 If you love Kidstir, spread the word! Refer your friends and you’ll get $10 off your next order and they’ll get $10 off their first order too!